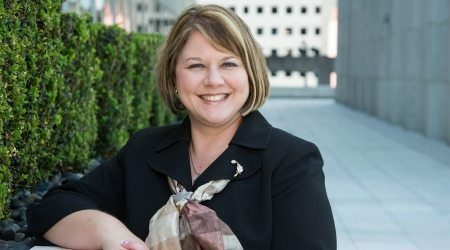 As a Director to Galloway, Heather serves as a litigator to the firm, with the focus of her practice on Louisiana State Workers’ Compensation Act Claims, as well as Admiralty and Maritime issues. She has extensive experience defending Employers and Carriers on matters arising under the Longshore & Harbor Workers’ Compensation Act, Defense Base Act, Outercontinental Shelf Lands Act, Nonappropriated Fund Instrumentalities Act, and the Louisiana State Workers’ Compensation Act. Heather also focuses on matters involving toxic tort. Heather regularly appears before the United States Department of Labor, Office of Administrative Law Judges; United States Department of Labor, Office of Workers’ Compensation Programs; the Office of Workers’ Compensation, State of Louisiana; as well as state and federal courts. Prior to joining Galloway, Heather was in private practice for both a national law firm and a regional law firm. Before private practice, Heather served as an Attorney Advisor to the Honorable C. Richard Avery with the United States Department of Labor, Office of Administrative Law Judges. Her work with Judge Avery centered around issues arising under the Longshore & Harbor Workers’ Compensation Act. Heather earned her law degree and a Certificate in Maritime and Admiralty Law from Tulane Law School. She was a member of the Tulane Maritime Law Journal, as well as one of its managing editors during her tenure at law school. Heather is a member of the Louisiana Bar Foundation, Kids Chance Committee. She also volunteers as a judge for “We the People,” a program for high school students that is sponsored by the Louisiana Center for Law and Civic Education. Arizona State University Honors College, B.A.